Dr Apeksha Sayani completed her Bachelor of Dental Surgery in 2005 from one of the top most universities of India. She was the university topper for two consecutive years and received several awards from the Indian Dental Association for her outstanding performance. 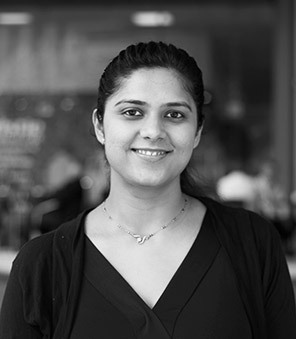 Apeksha worked in private practice for over 5 years before she moved to Sydney in 2010 with her husband. She completed her Australian Dental Council Examinations and started practising at a private practice in Manly. Friendly and compassionate by nature, Apeksha believes in honesty and excellence. She enjoys all aspects of dentistry and has a keen interest in cosmetic dentistry and minimal intervention dentistry. She works towards making each visit a very comfortable experience for the patient. Apart from being a dedicated dentist, Apeksha enjoys dancing, yoga and adventurous activities.